The tea set consists of seven pieces: a side handled teapot, sugu vessel, five teacups. 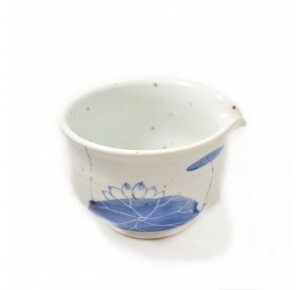 Each piece is entirely glazed, white, with visible dark particles, decoratd with a lotus flower motiff in cobalt blue. 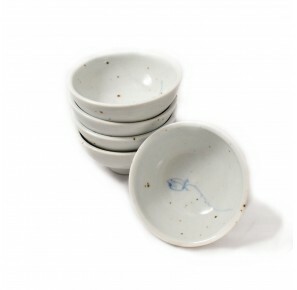 Traditional Korean tea sets consist of five or seven pieces and are meant for, respectively, three or five persons. 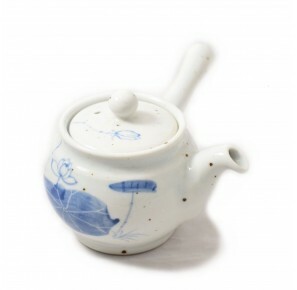 The sugu vessel, an essential part of the set, is used to cool down the water for tea and to pour the steeped tea into it before distributing it to the guests' teacups. 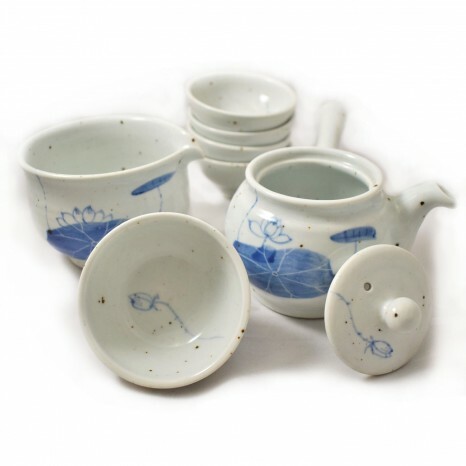 Light, delicately decorated and very elegant tea set allows to prepare tea in the spirit of the korean ceremony, but may also be used for making all kinds of tea.